USING CHARMS! 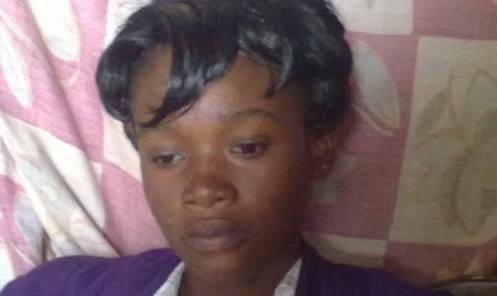 Cynthia (36) lost her husband and came up with a devilish plan to get him back, rather than seek a real Pastor who will pray to deliver her and the husband from the demon that attacked their marriage. She used juju to entice him but things took the wrong turn, the plan failed and turned her into a s*x addict. She chose the risky route because she lost Douglas Nyoni (46) about six years ago and they had been married for five years. Speaking to Zimbabwe's B-Metro, Cynthia said the juju gave her a ravenous s*x urge instead of bringing back the love of her life. “I always feel the urge for s*x every time. A few years back when my husband left me I went to see a traditional healer who gave me juju to help win him back. "I poured it all over my body as instructed and waited for the miracle to happen. After two days I started feeling weird and my private parts were wet,” she said. She went back to him and he said she had nothing to worry about. “He said everything would be fine, it was just part of the process. In the first week I slept with three different men from my area. I thought it was normal for me because I was going through a hard time,’’ she added. What’s sad is that the Juju man is now dead and there’s no one to reverse the charm. Now she sleeps with every man that walks her path. “I can’t help myself for feeling this way. I just want to have s*x all the time,’’ Cynthia cries. She kept track of the men she has slept with until her tally hit 47 and that was the last time she counted. ‘‘I have slept with many men and I stopped counting when I had slept with 47 men. *Now I just sleep with them and not feel any emotional connection like before. Sometimes I sleep with two men at the same time,’’ Mvhuma added. She’s even scared of testing for HIV. “I am afraid to get tested because I don’t want more stress,” she said. The husband she wanted to use Juju to get back has left the country.